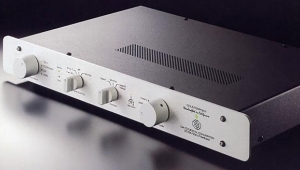 An awful lot has changed since then, including, in recent years, a shift of PS Audio's emphasis from audio amplification to AC-power regeneration. 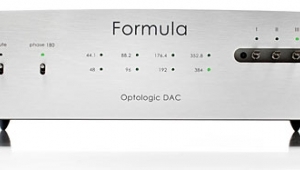 Even more recently, under the direction of co-founder and CEO Paul McGowan, the company has added to its line a series of digital-to-analog converters, culminating in their new flagship, the PerfectWave DirectStream DAC ($5995.95). 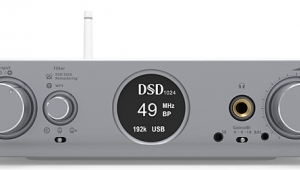 The DirectStream is notable for converting any and all incoming datastreams to DSDwhich, in case you haven't been paying attention, is hot. Again. 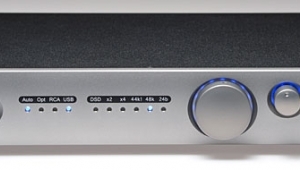 The DirectStream DAC has its origins in a 2011 visit by former Microsoft engineer Ted Smith to the Colorado mastering studio of digital-audio pioneer Gus Skinas. 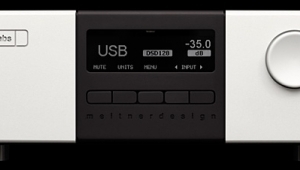 Smith was already a DSD convert, he told me"The first time I heard an SACD, I went out and bought a Sony SCD-777 right away, which was unusual because I'd never before spent that much money on an audio product! " and he brought with him a laptop full of music files and a D/A converter he'd just designed and built that decoded pure, single-bit DSD. Skinas was so impressed that he got on the phone to his friend Paul McGowan and said, in essence, Get over here on the double. McGowan went straight to Skinas's place and was, as he puts it, knocked out by the sound of Smith's prototype: "Ted was playing his laptop through a TosLink-to-USB converter. With a wall wart. And it still sounded amazing." A visit to the PS Audio factory ensuedSmith says he was impressed by the lack of a not-invented-here attitude among PSA's engineersand an arrangement was made for Smith to design the company's first DSD processor, with final voicing to be done by McGowan and Arnie Nudell, the latter of Infinity and Genesis fame. 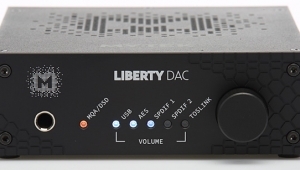 The first samples of the PerfectWave DirectStream DAC shipped at the end of April 2014. Aside from an XMOS chip used as an asynchronous USB receiver, the DirectStream contains no off-the-shelf chipsets: all of its code is written by hand into a field-programmable gate array (FPGA). In Ted Smith's conversion system, all input dataregardless of format, regardless of native sampling rateare synchronously upsampled to a 30-bit word length running at 28.224MHz, which is 10 times the standard sampling rate for DSD. The next stage is a 5x downsampler, which brings the signal back down to 5.6448MHz, or twice the DSD rate. There follows a digital volume control: this operates on the incoming 30-bit PCM with 20-bit coefficients, meaning that the datastream after the volume control is 50 bits wide. 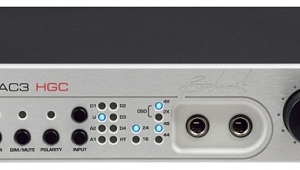 A extra "top bit" is added, to eliminate any possibility of overload, then the 51-bit PCM data are converted by a sigma-delta modulator to single-bit DSD, still running at twice the standard sampling rate: "It's double because we need another octave to deal with the rolloff at the output stage," according to Smith. 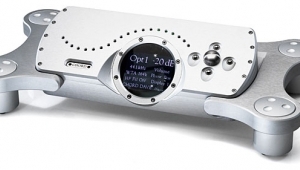 That final stage is based on high-speed video amplifiers and a custom-wound output transformer. Smith says that while good power-supply design and careful parts selection played significant roles in maximizing the sound quality of his design, equally critical was a careful, comprehensive approach to eliminating all sources of jitter from the data flow. "Only anti-jitter techniques that work in real time are going to work in audio," he says, "and you need to apply them all, even if one technique, on its own, doesn't seem to have a huge effect. For example, you need a single, high-quality clock, and you don't want to run it through a digital multiplexer: Not knowing when something is going to happenthat actually is jitter. You also need to use RF cables instead of ribbon cables: RF cables have cleaner edges, and cleaner edges are less jitter!" The DirectStream's cast-alloy caseworkwhich proved impenetrable by all of the reasonable, nondestructive means at my disposalis finished in a nice-looking textured paint, and the top is fitted with a sheet of glossy, piano-black MDF that may function as a mechanical damper of sorts. 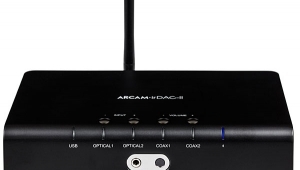 In addition to a small rocker Power switch and a slot for an SD cardI'll return to the latter in a momentthe rear panel is home to a selection of digital inputs: XLR (AES/EBU), RCA (S/PDIF), TosLink (S/PDIF), USB, and two I2S inputs using HDMI socketsthe last can handle DoP (DSD over PCM) or single- or double-rate DSD. 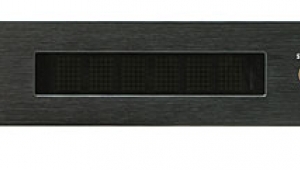 The outputs provided are RCA (single-ended) and XLR (balanced). 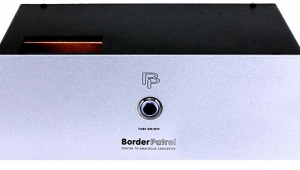 The level for the line signal appearing on both sets of output jacks can be set for low or high ranges, the latter suggested as appropriate for those who wish to bypass their preamplifier and directly drive their power amp(s). 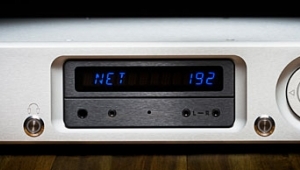 Apart from a small indicator light, the DirectStream's clean-looking front panel has only an illuminated PS Audio logo and a 4" by 2.5" displayyet there was more to both than met the eye (or, at least, my eye): The logo is actually a soft-touch switch that toggles the powered-up DAC in and out of standby mode, while the display is a touchscreen from which the user can select (and give names to) source inputs, adjust volume, select output-level range, adjust screen brightness, and toggle between correct and inverted output-signal polarities. All of the display's functions are also accessible from the slender plastic remote handset (included). I removed the DirectStream from its very good packing, placed it in my system, and flipped its Power switch. The touchscreen informed me that the unit was Initializing. 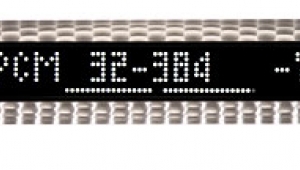 Precisely 11 seconds later, that message was replaced with the unit's clear and uncluttered default screen, which displays a volume scale near the bottom, a generously sized input-source indicator at the center, and other bits of dataplus two rows of dashes waiting to be replaced by numbers that would indicate the incoming signal's sampling rate and word length. With the initialized DirectStream connected to my Apple iMac via a 1.5m WireWorld Revelation 2.0 USB cable, the correct device name appeared in the Sound subsection of my iMac's System Preferences window: "PS Audio USB 2.0 Audio Out." I assumed that all was well, but when I fired up my copy of the DSD-friendly Audirvana Plus playback software (v.1.5.12) and clicked on a song, my system remained resolutely silentand no incoming data showed up on the screen. 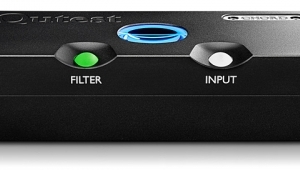 I am having some problems with the new P S Audio DirectStream DAC I bought. I am not a audiophile or a computer wiz. I have an old Dell from 2004. 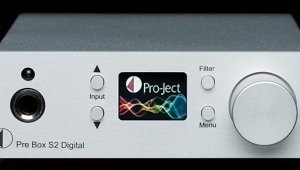 I called P S Audio to help with downloading the software and fired up the DAC. Using my USB cable, I was able to listen to WBGO on the net, but I could not listen to WKCR because Windows Player and Real Player gave me error messages ! I need someone who knows audio and PCs ! Using my USB cable, I was able to listen to WBGO on the net, but I could not listen to WKCR because Windows Player and Real Player gave me error messages! 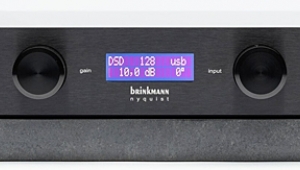 As you were able to listen to WBGO via your Internet connection and the PS Audio DAC, this suggests your set-up is correct. If you set the PS Audio via USB as your PC's default sound device, are you able to listen to things like YouTube using your Web browser?